Thank you to all of you who follow my page on Facebook. 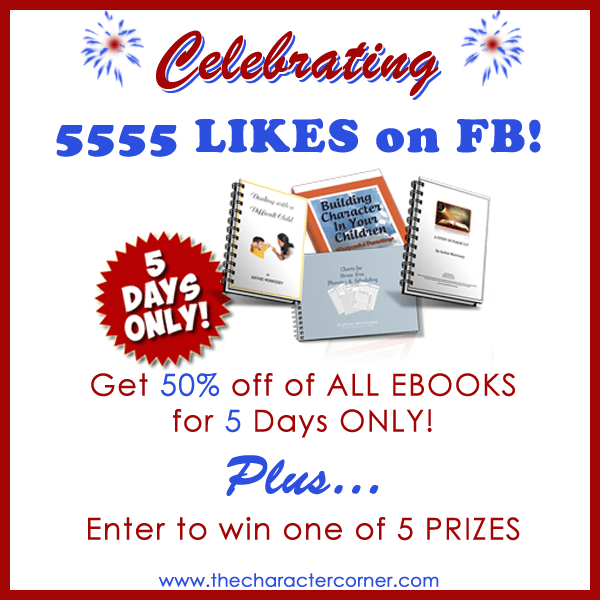 We just hit 5,555 likes, so it’s time to celebrate! Now is the time to buy those products you’ve been looking at! We will also be having a drawing and choosing 5 people to win a bundle of products worth $55! To enter to win one of the prize bundles, simply comment on this post about what product you’d like to win, or what product of ours you like. For more entries, leave a comment each of the 5 days. Also, for another entry, share this post, then leave a comment saying you shared. The Lads and Ladies of Wisdom Character Curriculum & Activity Book sound amazing for my older children. Thank you for these resources! Dealing with a difficult child sounds like a great resource. I’d like to win the preschool curriculum. The Lads and Ladies of Wisdom Character Curriculum & Activity Book sounds like just what we need to round off our curriculum . Congratulations on hitting 5,555 and thank you for your helpful resources! I have the Lads and Ladies of Wisdom and would love to add the Virtue book to our resources. I also want to thank you for your printable, I love the poem, questions for us homeschooling parents to ask and steps to teaching character. I often go back to them as a reminder and a way to refocus. 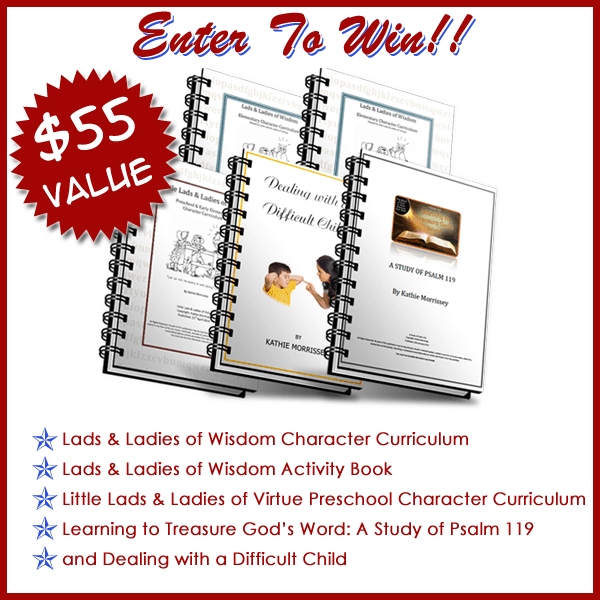 I would love to win this – Lads & Ladies of Wisdom Character Curriculum & Activity Book. Thank you so much! Blessings! I would love to win Lads & Ladies of Virtue. I actually love all your products. I would love to win any of your wonderful resources. Right now I Could really use Dealing With A Difficult Child! Really struggling. I have encountered on occasion as a school teacher difficult children. I think this book would be beneficial for me. Little lads and ladies curriculum is great, and learning to share God’s word as well since we are going to study and memorize psalm 119 this will be a great resource. Thanks a lot for the giveaways. I shared this on my facebook page . I think I would be most excited about Learning to Treasure God’s Word. I’d love psalm 119 study. Learning the Treasure God’s Word looks awesome! Thanks for doing a giveaway!! Lads & Ladies of Wisdom Character Curriculum & Activity Book looks great! We’re almost finished with the Bible devotions we have been using and I think my kids would enjoy this a lot. I would love the character curriculum for preschool and elementary! I also shared this!! I have been desiring this for my children for a while. It will be a great help if we were chosen! Lads & Ladies of Wisdom Character Curriculum sounds great! Yay for 5,555 likes! I’d love to win either Lads & Ladies product so I can continue my daughter’s character lessons. She and I both love Little Lads & Ladies! I have used little lads & ladies of virtue preschool curriculum, and would love to use more of your products. The Lads & Ladies Wisdom Curriculum sounds like something our kids would enjoy. Thank you for the giveaway. I have lads and ladies of wisdom and I love it. I would love any of your other books, especially Psalm 119. Thank you! I’d love to win “Lads & Ladies of Virtue”. Thanks for the chance to win it! The L&LW Curriculum for my school-age son, or the Dealing with a Difficult Child for my oldest would be such a blessing! I would love to get the preschool curriculum. Lad and Ladies of Virtue is ine I’ve had my eyes on. These all sound like great products. Thanks for the chance to win. With 10 children, building character is a constant battle of wills. I could use any help I can get! Congratulations on your milestone of 5555 Likes! One of the products you sell that has been a blessing in our family is Character Building for families by Lee Ann Rubsam. Often recommend it to others!! Thanks for the giveaway! We have enjoyed using your products in our homeschool journey. Learning to Treasure God’s Word sounds like something that would be a helpful resource for us. They all sound good, but learning to treasure God’s word would be great. I’m interested in the Little Lads & Ladies preschool curriculum and Dealing with a Difficult Child. Lads & Ladies of Wisdom Character Curriculum 🙂 still! I’d love to win this! Especially the book about dealing with a difficult child. Thank you for offering a give away. 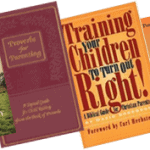 LITTLE LADS & LADIES OF VIRTUE EBOOK and the Wisdom book sound wonderful! I would love to win Lads & Ladies of Virtue. What a wonderful giveaway I would love to get the Lads and Ladies of Virtue. Thank you for the chance to win this bundle. I would love to win the bundle inclduing “Dealing With A Difficult Child”. Challenges of raising a difficult child are constantly put before me and I honstely could use all the biblical encouragement that I can get! I would love the character curriculum & activity book! I’d love to win them all! I can see how each & every resource in the bundle would be helpful with our kids! Thank you! Of them all, at this time I think the Lads & Ladies of Virtue would be helpful! This is an awesome giveaway! I am interested in the little lads and ladies of virtue. I have loved any product I have used from your store! I would be blessed to win any of them! This is a wonderful giveaway! Thanks for the opportunity to win! 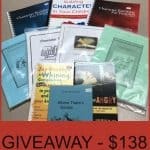 I would love to win the Psalm 119 study. I am always looking for a good way to help my children hide God’s word in their hearts. Dealing with a Difficult Child seems to be what I need most right now! Winning Lads & Ladies of Wisdom Character Curriculum & Activity Book couldn’t come at a better time for myself and my 4 kids ages 7, 5, 3 and 3. Homeschooling allows me to focus on character much more than other options, but this year I has wished over and over for a path on how to teach these topics better than just my own way of thinking. I think would help our family tremendously. Dear Kathy, Thank you for sharing wisdom from your experiences! I would love either the Little Lads and Ladies of Virtue or the Dealing with a Difficult Child. I have a daughter (who is very difficult) and a son, both of whom are in the age range for Little Lads and Ladies. I have 9 children and we value teaching godly character to our children. Your resources look wonderful. I would love to win the Lads and Ladies Character Curriculum. Thank you for the time spent on making resources available to us! We’d love to use the activity book! Thanks! Lads & Ladies of Wisdom Character Curriculum & Activity Book can’t wait to try it with my children. All of these resources sound helpful! The one most intriguing to me right now is Dealing with a Difficult Child. 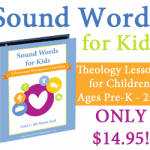 The lads and ladies of virtue sounds great to use with my kids! Your resources look so helpful!! I can’t wait to use them! oops, I just noticed the dates! !